Dean Jones, Billy Murdoch and Cathryn Fitzpatrick are the 2019 inductees into the Australian Cricket Hall of Fame. The formal induction is to take place at the Australian Cricket Awards in Melbourne on Monday, 11 February. Murdoch will receive the honour posthumously. Peter King, the Hall of Fame chairman, said: “These three inductees are very worthy of this honour and we are delighted to induct them alongside their peers and contemporaries." Jones is renowned for revolutionising one-day batting. Possessing a game marked by attacking footwork, rapid running between the wickets and electric fielding, he was the world’s No.1 ODI batsman in his prime, holding onto the spot for four successive years between 1989 and 1992. In Tests, he averaged over 46, and compiled one of the great Test innings, when he battled severe dehydration and fatigue in the unforgiving heat of Madras (now Chennai), to make a double-century in the tied Test of 1986-87. Jones was also an important cog in Australia’s maiden World Cup triumph, in 1987, and was named by Wisden as one of the Cricketers of the Year in 1990. Murdoch was Australia’s second Test captain, and one of the most prominent wicket-keeper batsmen of his generation. A predominantly front-foot player with a pristine off-side game, he was that rare cricketer to have played Test cricket for two countries, having represented England in a solitary Test against South Africa in Cape Town in 1892. In all, Murdoch played 19 Tests in which he made 908 runs, averaging 31.31 and scoring two hundreds. Murdoch was present for the MCG Test between Australia and South Africa in 1911, when he died of apoplexy, suffered during lunch on the second day. Cathryn Fitzpatrick was the world’s fastest bowler during her time, and remains the second-most prolific wicket-taker in ODI history, after India’s Jhulan Goswami. Fitzpatrick was a part of Australia's World Cup-winning campaigns in 1997 and 2005. She was also the first bowler in women’s ODIs to breach the 150-wicket mark, getting there in June 2005 against Ireland. 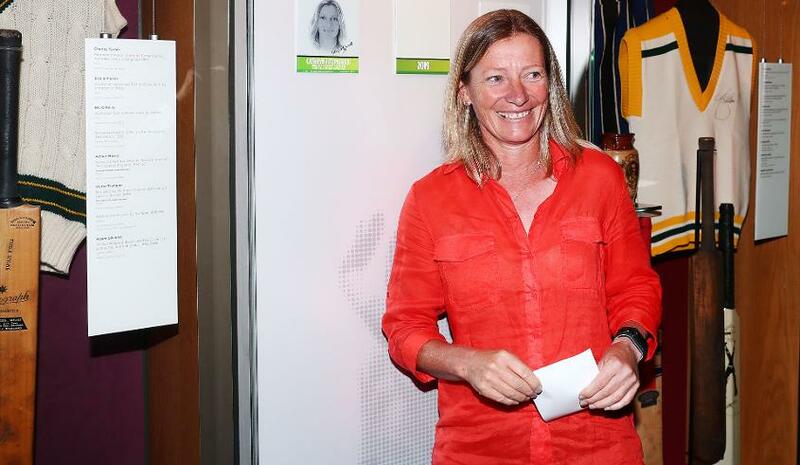 Fitzpatrick was also one of the nominees for the inaugural ICC Female Player of the Year award, which eventually went to fellow Australian Karen Rolton. She would however, go on to claim the Women’s International Cricketer of the Year award at the 2004 Allan Border Medal.